A cruise ship was the hero of the day in Alaska when 70 sightseers found themselves stranded during a sailing trip. The Holland America cruise ship sailed to the rescue of the stranded party in Glacier Bay - the people had been on a sightseeing trip on the ship Baranof Wind. The vessel issued a distress call after striking a rock, and luckily the cruise liner was close enough to respond to the mayday call. 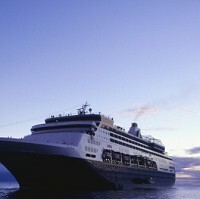 Holland America's Volendam was heading for Margerie Glacier when it received the call for assistance. The Volendam responded to the request and headed for the location of the struggling vessel. A tender was lowered to the Baranof and a park ranger and 69 tourists were rescued. Although it was a cruise ship carrying out the rescue, the incident with the tour boat is a timely reminder of the potential dangers faced on the water for any passenger-carrying vessel and therefore underscores the importance of cruise travel insurance. President and chief executive of Holland America Line Stein Kruse said: "It's the code of the sea to provide assistance in an emergency, and Captain Peter Bos and his crew responded quickly and professionally to render aid to the passengers of Baranof Wind."